Ross, a central midfielder, came through the various youth teams at Stenhousemuir and went onto make nine first team league appearances for the Warriors. 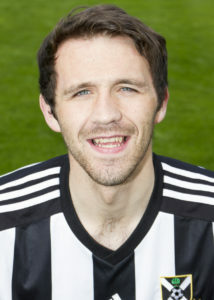 During his time there, he spent half a season on loan at Beith. Having not established himself in the 1st XI at Stenny, he moved onto Shotts Bon Accord. Two years at Hannah Park was followed by a solitary one at Hurlford before he joined Lok in the summer of 2017. It was announced in April 2018 that Ross had signed up again for the 2018-19 season.